Graves’ disease is the most common cause of hyperthyroidism. It’s named for the doctor who first described it in 1835, Dr. Robert J. Graves. Graves’ disease occurs when the immune system causes your thyroid gland to produce too much thyroid hormone. Antibodies known as thyroid-stimulating immunoglobulins (TSIs) bind to receptors in your thyroid cells. These, in turn, trick your thyroid gland into creating too much thyroid hormone. Since thyroid hormones govern a range of functions that include internal body temperature and metabolism, having too much of them can cause a number of other systems to go into overdrive. goiter, a swelling of the thyroid gland. Goiter may or may not be visible to the naked eye. It may be felt during swallowing. Discomfort from goiters can make it hard to sleep. excessive or frequent bowel movements. bulging eyes or vision problems such as double vision. hyperactivity and alertness. However, over time, this can lead to exhaustion and fatigue. 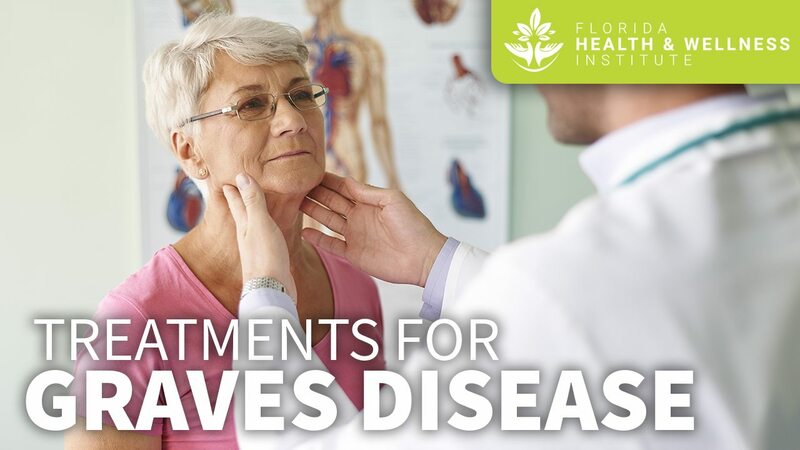 The conventional treatments for Graves’ disease typically include medications that suppress thyroid function. These medications can have serious side effects and cause allergic reactions. If they do not work, your doctor may resort to killing your thyroid gland with radioactive iodine or having it surgically removed. After the thyroid is destroyed, you will be hypothyroid for life and will need to take replacement hormones. A number of animal and human studies have shown that chronic stress exacerbates autoimmune disorders and can make inflammation worse. In addition, acute stress may trigger an autoimmune disorder such as Graves. By learning stress-reducing techniques, you can reduce its harm on your body. Regular exercise helps control stress and pain levels. It also helps you sleep at night, which can counteract insomnia that can be a common Graves’ disease side effect. Consuming a range of fresh vegetables and healthy fats while avoiding simple sugars can help you feel healthier and can heal your gut. Lean proteins can help combat muscle weakness. Omega-3 fatty acids can improve skin and help fight pain. If you smoke, cutting out tobacco can help you ease autoimmune flare-ups. Limit consumption of alcohol, as well, because of its effects on healthy gut flora. We can help you quit smoking to enjoy better health. 5. Cut endocrine disrupting chemicals from your life. Certain cleaners and artificial scents can cause issues with your endocrine system. We can help you identify the dangers and replace them with safer options. Swapping out harsh cleaners for cider vinegar, for instance, can allow you to keep a cleaner home without toxins. People who are suffering from chronic conditions can find some relief using visualization meditations. Imagine, for instance, inflammation leaving your body. These sorts of exercises have been shown in studies to help your body heal itself more effectively. 7. Protect sensitive eyes and skin. Graves’ disease can cause pressure behind your eyes that can lead to discomfort. People who have graves are also more prone to itchy and uncomfortable skin. Wearing sunglasses and sunscreen can help protect these sensitive areas from the sun’s rays. Cold compresses can provide relief if you suffer pain in your eyes. Graves’ disease can cause excessive perspiration. Left unchecked, dehydration can result. Keep a water bottle nearby that is full of cold, clear water. Switching from plastic to glass can reduce chemical exposure and can improve water’s taste. You can also flavor water with slices of fruit or a squeeze of lemon to make yourself more likely to drink. Graves’ disease can leave you feeling achy and fatigued. Gentle stretching can battle pain and irritability and make it easier to sleep each night. Start with gentle yoga routines and do them daily for best results. Massage can help ease muscle tension and stress. Together, these can help you find some relief from the pain and discomfort that are common with Graves’. At our Pensacola practice, we do not look at your symptoms in isolation. We consider the underlying causes of your thyroid problems to help minimize the chances that you have other autoimmune issues in the future. Our methods can help put your body back in balance and help you feel better and live a healthier life. 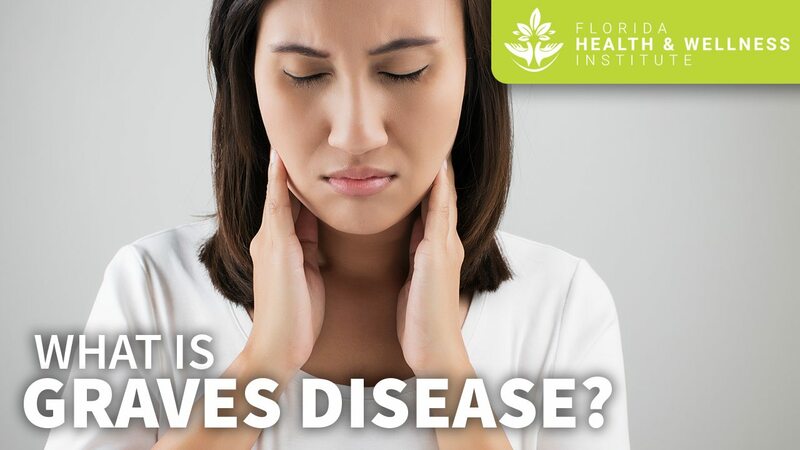 Do you have symptoms that might be caused by Graves’ disease? Get in touch today for a consultation. We’ll discuss your symptoms in depth and do the testing needed to determine what is truly going on with your body.